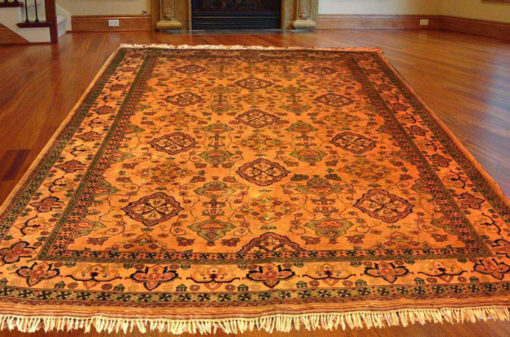 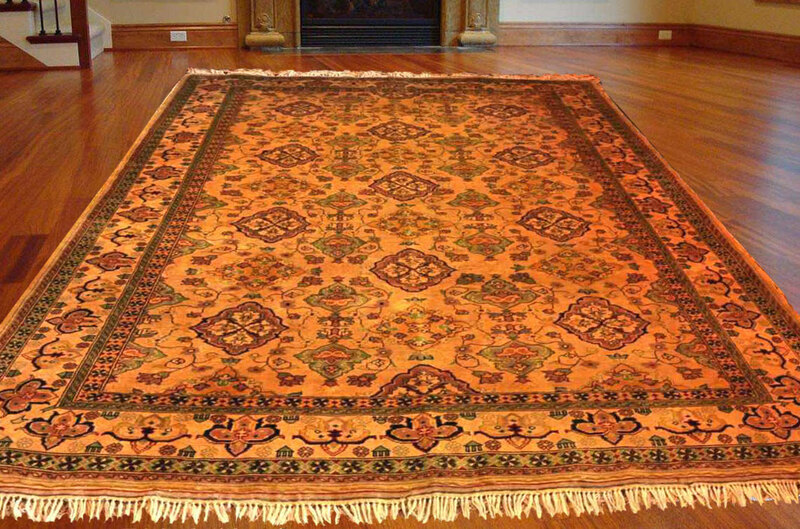 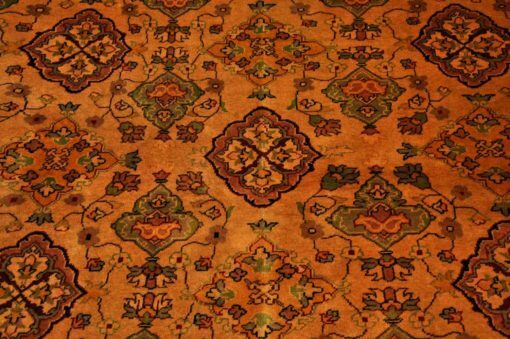 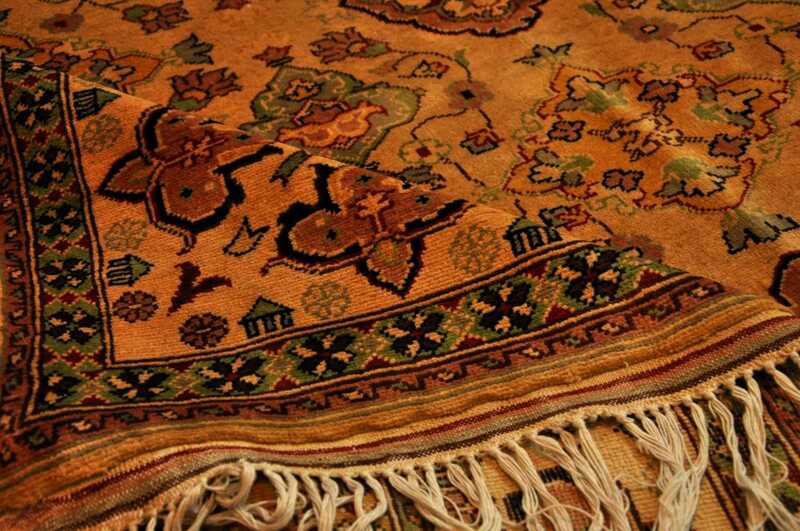 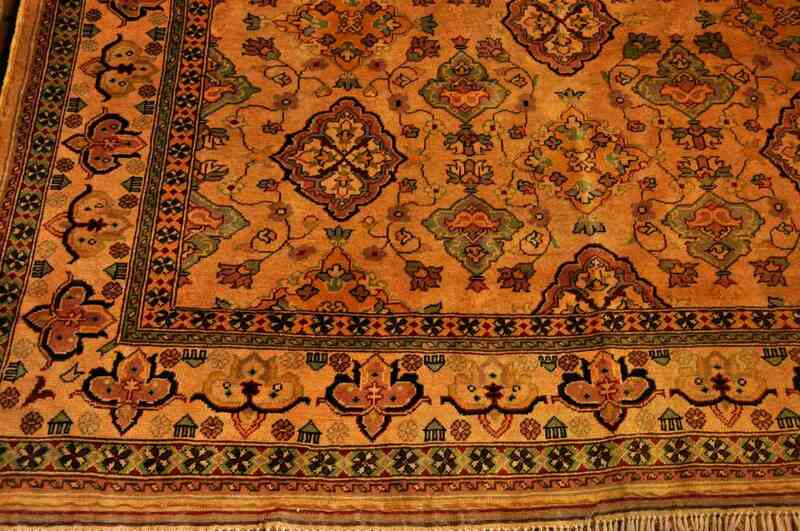 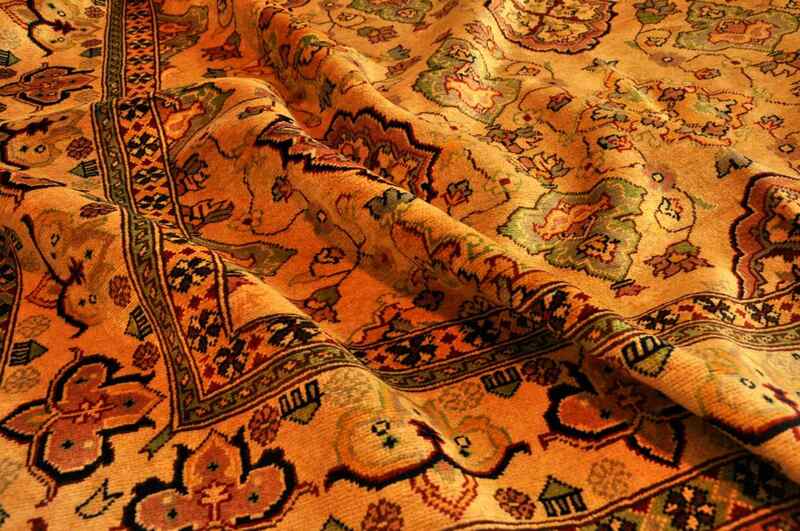 High-quality sheep wool and silk are used for making persian rugs. The product is soft and pleasant to touch, very dense. 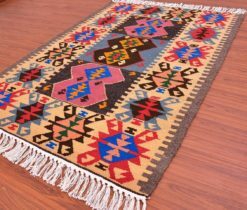 All nodules are even, arranged strictly in one row, due to the peculiarities of hand weaving. 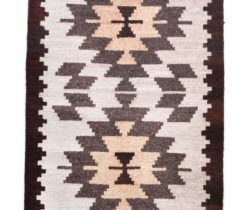 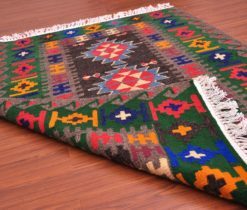 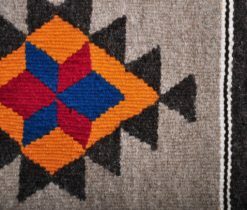 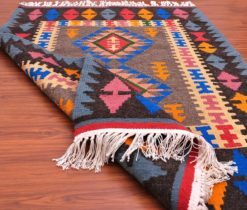 The rug is made of yarns stained with natural dyes. 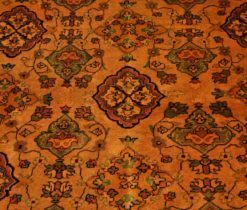 Thanks to a combination of original color palettes and a combination of deep colors with gentle tones, our Persian rugs are considered an exclusive work of art. 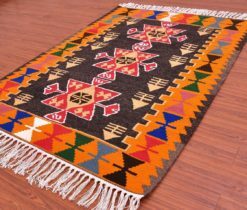 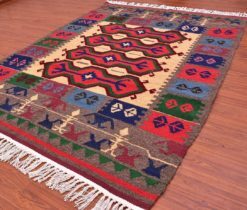 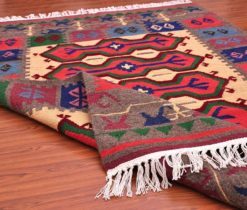 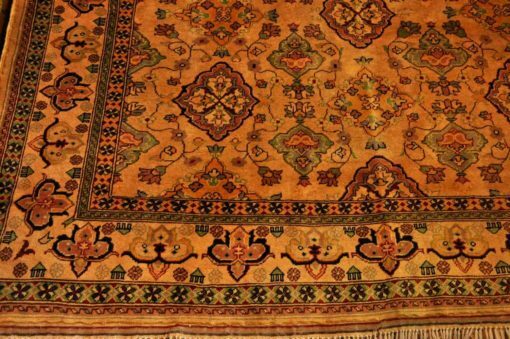 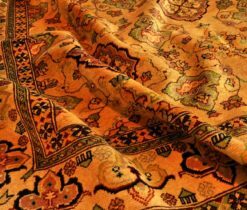 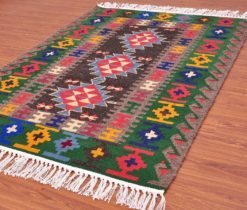 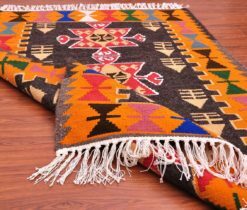 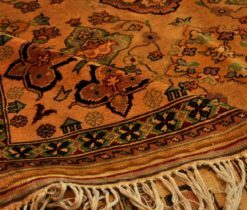 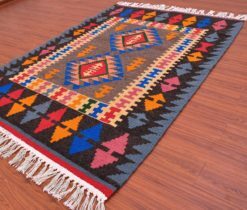 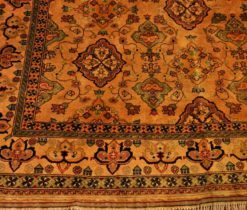 When weaving carpets and rugs a single Persian knot is used, this allows making high-quality handmade rugs with high density. 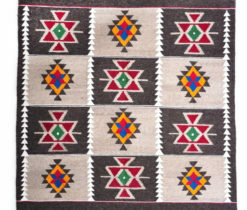 The design is dominated by various floral ornaments, monograms, animal motifs. 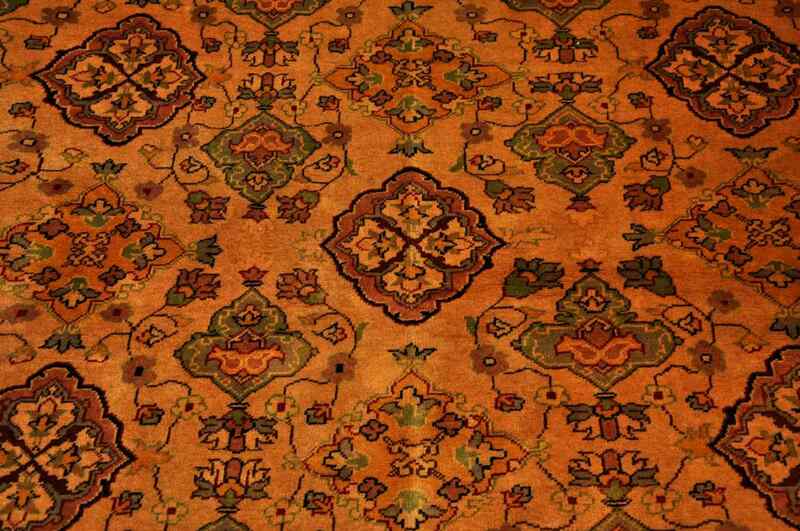 By the color scheme there are many warm tones and saturated colors. 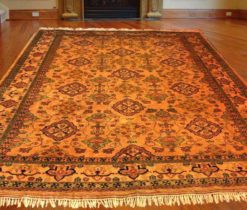 Being weaved by master weavers in six months, this unique Persian rug can be a good choice for decorating rooms in the house, offices or hotel rooms. 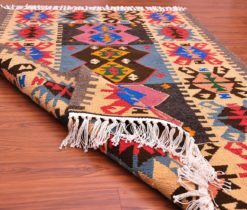 Used only for interior decoration.